Here’s the up-to-date employee policies handbook upgrade you’ve been waiting for! Since you last created your employee policies handbook with Employee Manual Builder, we have replaced, updated, and added an entirely new set of employee policies for you to better manage your business. Also, we’ve built them into the proven cloud-based multi-user document assembly system (MIDAS) to make editing and publishing your updated employee handbook a breeze. 60+ time-saving employee management checklists, forms, memos, plus access to FREE State & Federal posters, even the full text of the laws, are included! Add unlimited additional users to your initial subscription for just $1 each / mo! Check boxes for the sections to include. Policies are for specific states laws. Display online or print hard-copy. More policies than any other employee handbook on Earth! 200? Is that overkill? Maybe, but it’s the best protection for you company and the best practices for effectively managing your people. The text and guidance are all right there, ready for you to edit into a customized manual for your company. HR professionals’ comments throughout each section explain issues and make suggestions to help you do it right. With all of your office guidelines published in a comprehensive, reader-friendly manual, you have more time to build your company or department. Login as our Guest and you can access the entire employee Policies Handbook! Especially important for new managers! Here is a useful collection of articles helpful; to provide background for supporting / enforcing your policies. We left it as a Word doc in the event you wanted to edit it further before printing and distributing to your supervisors. Looks great! I’ve worked in HR for 4 years and I’ve been collecting policies all along from various sources, but this has enabled me to finally put together all the pieces. I care a lot about empowering people, and I can see that this was written from that point of view. Thanks! Cloud-based version also writes job descriptions, interview scripts and more! App works for both PCs & Macs! This cloud-based employee management system offers far more than just an employee handbook template. 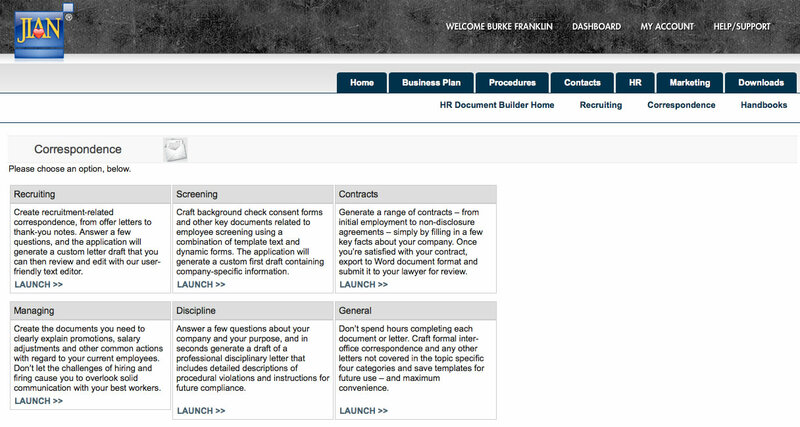 Employee Review forms, and more. Cloud-Based App & Templates — Works for BOTH PCs and Macs! Add unlimited additional users for just $1 each / mo! HR & Management Policies & Procedures Package! 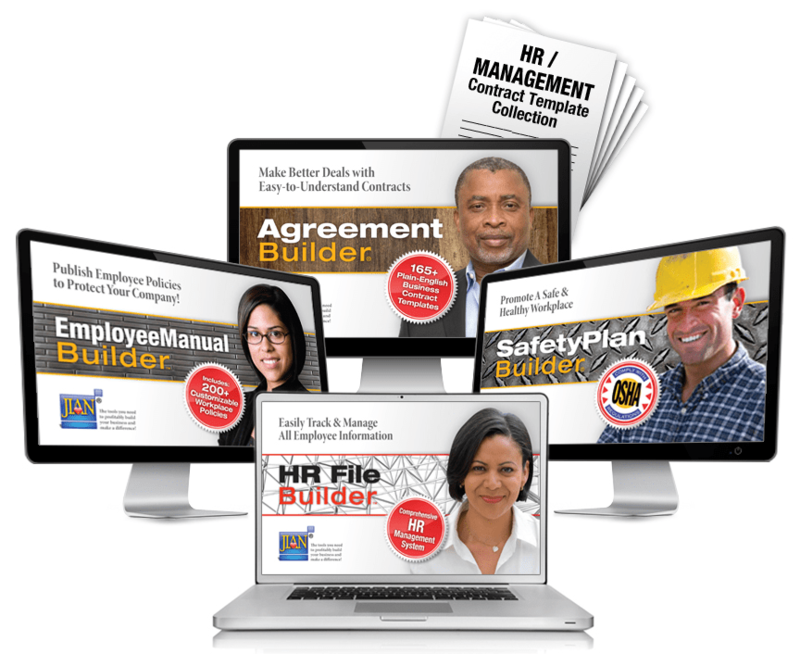 Subscribe to this Human Resource management software bundle and upgrade your HR department overnight! Sample HR legal business contract templates – Saves time and expense on legal docs you can do yourself, then have your attorney review them.